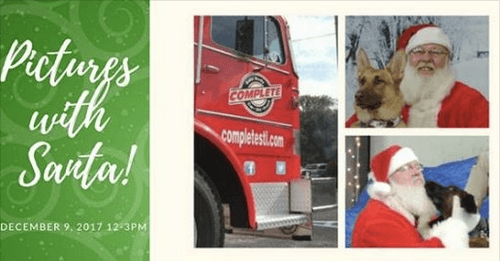 Come on out to Complete Car & RV Repair with the family and those furbabies to have your pictures taken with Santa. Wristbands to have your picture taken with Santa will be sold in advance for $7.00 or $10 at the door otherwise it is free to attend all the fun! There will be contests, raffels and K9 Demos every 30 minutes starting at 1PM!